Dr. Madjidi is a Board Certified Plastic Surgeon with an M.D. degree from the Caen Medical School, University of Caen in Normandy, France and a diplomate of the American Board of Plastic Surgery. Her residency was completed at Caen Medical School in Maxillofacial Surgery, Stomatology and Plastic Surgery where she obtained her French Board certification. She has also completed her internship in General Surgery at Rush-Presbyterian–St. Luke’s Hospital in Chicago, IL., as well as a Plastic Surgery residency at Baylor College of Medicine in Houston, TX. Dr. Madjidi completed a Fellowship in Pediatric Plastics, Maxillofacial Surgery and Stomatology at Necker-Enfants Malades Hospital in Paris, France and another in Craniofacial Surgery at the University of Texas Southwest Medical Center in Dallas, TX. 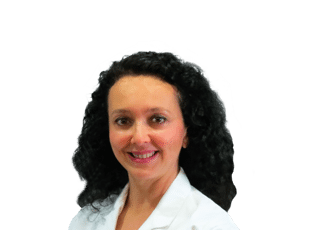 Dr. Madjidi was born in Iran and raised in France, where she practiced for 4 years before moving to the U.S. She is married to a Cardiologist and has two children. Dr. Madjidi is multilingual. She speaks English, Persian, French, Spanish and is currently learning Arabic. Dr. Madjidi was awarded the Outstanding Academic Award from Baylor College of Medicine and received an award letter in Arts-Science, as well as Merits and Devouement in Paris, France. Dr. Madjidi’s medical philosophy is to treat each patient as an individual and give each her utmost respect and full attention. She takes her time to listen respectfully to each patient’s concerns and questions and discusses the different options available while also informing them of the latest techniques. Confidentiality is also a very important aspect of her medical practice. Dr. Madjidi enjoys competitive ballroom dancing where she has won multiple regional and national awards. She plays the Flamenco guitar, classical guitar, and piano. She enjoys vitral painting and has participated in numerous vitral paint exhibitions in France. Dr. Madjidi is active in her charity work and has been on numerous mission trips with L.E.A.P (Life Enhancement Association for People), Surgical Volunteers International and Smile Train, where she provided volunteers service to countries such as Central and South America, Africa and Vietnam.